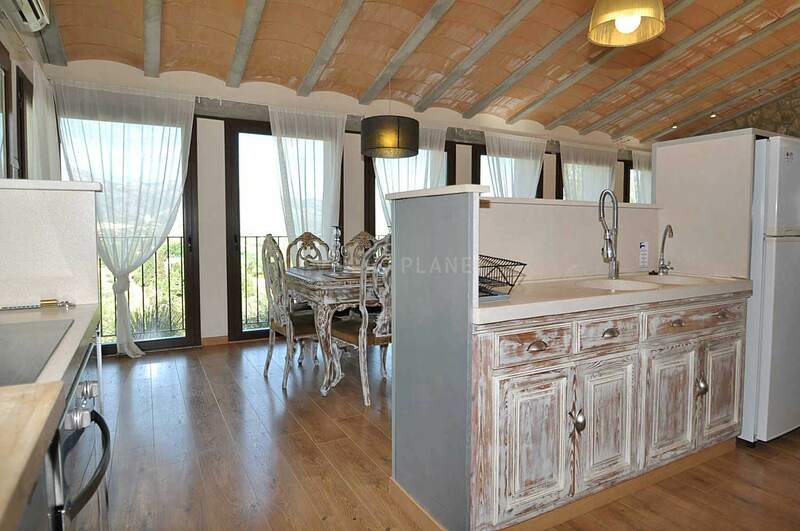 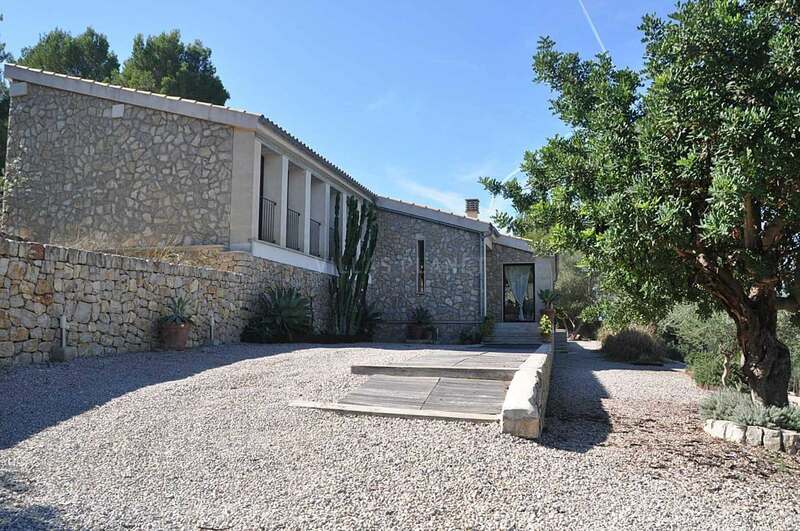 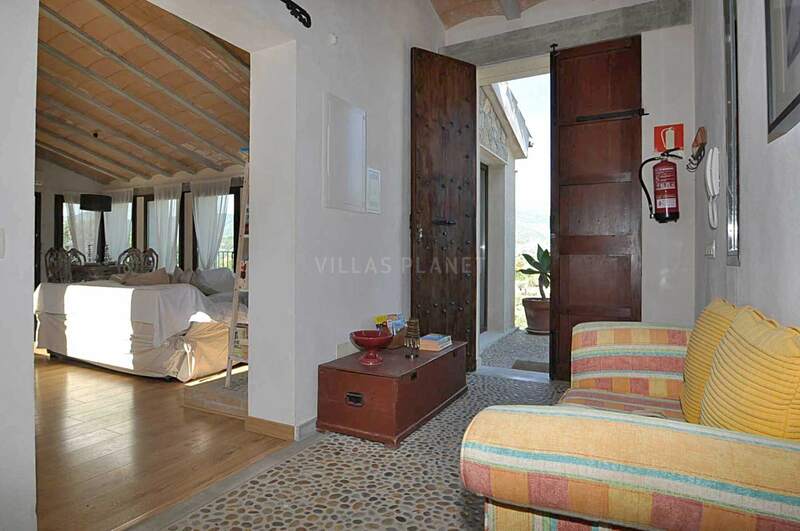 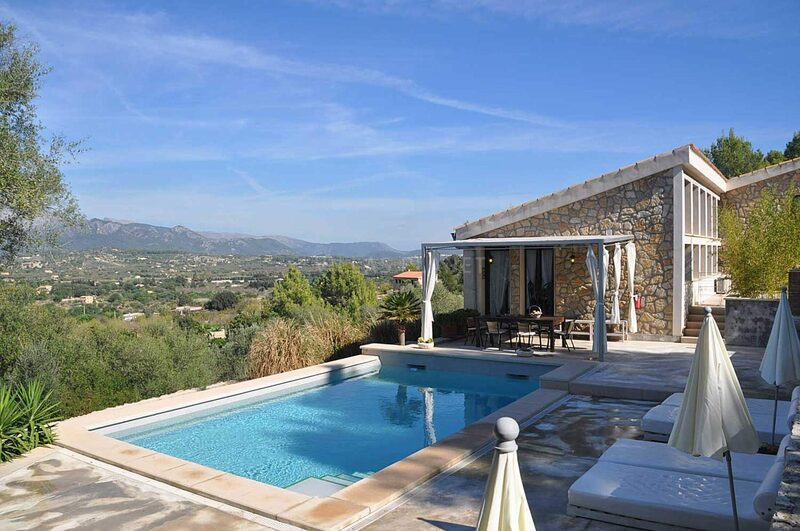 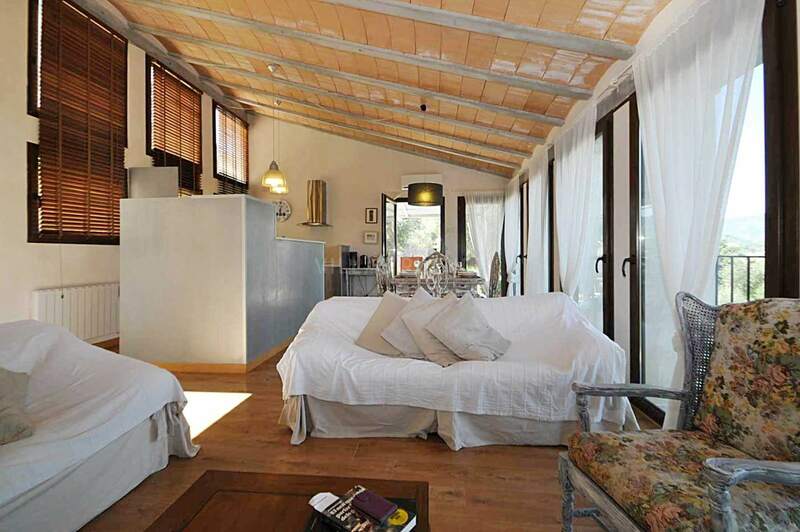 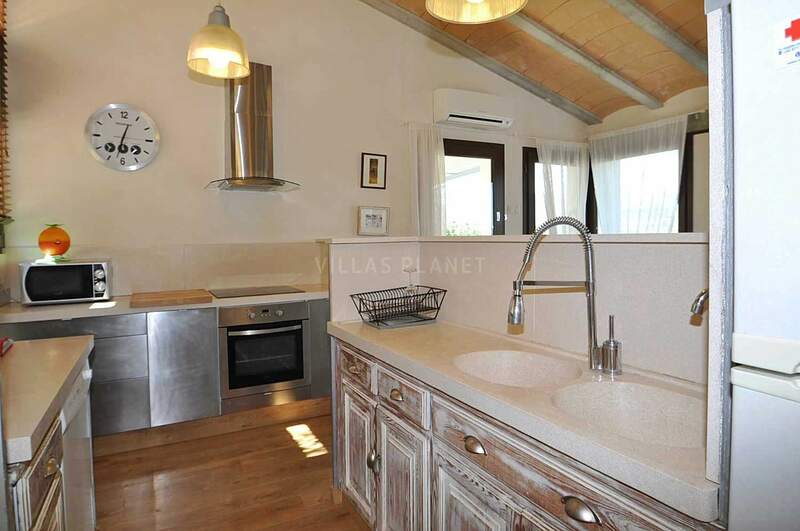 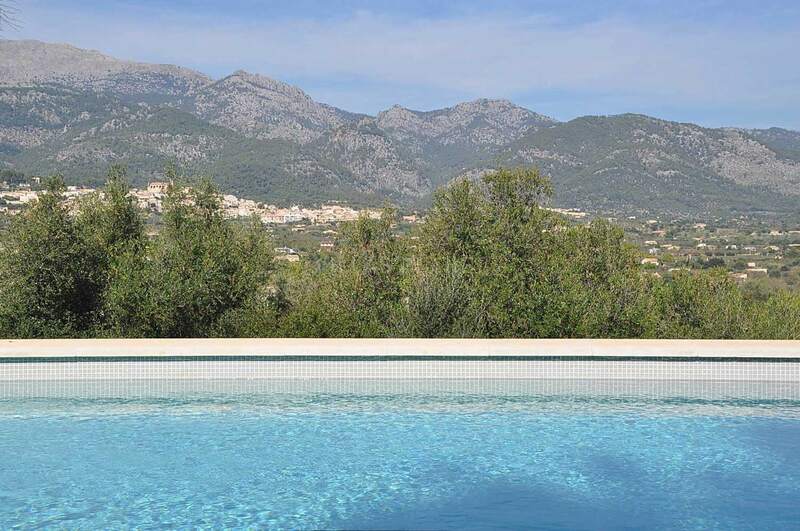 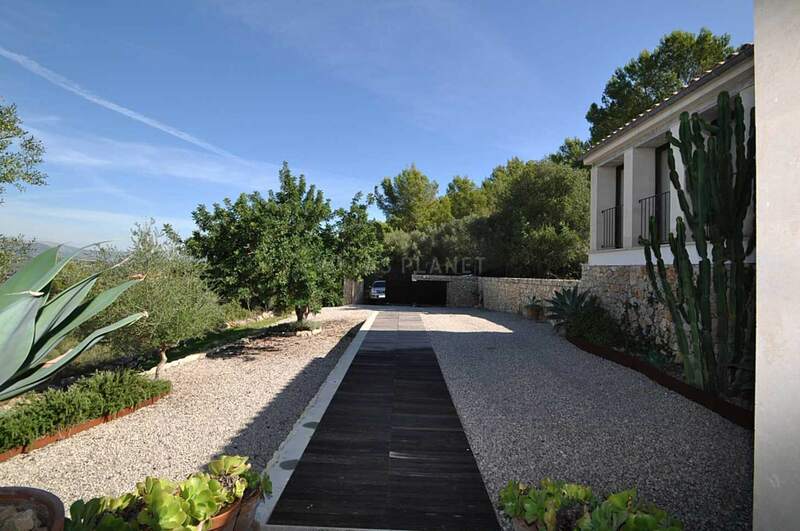 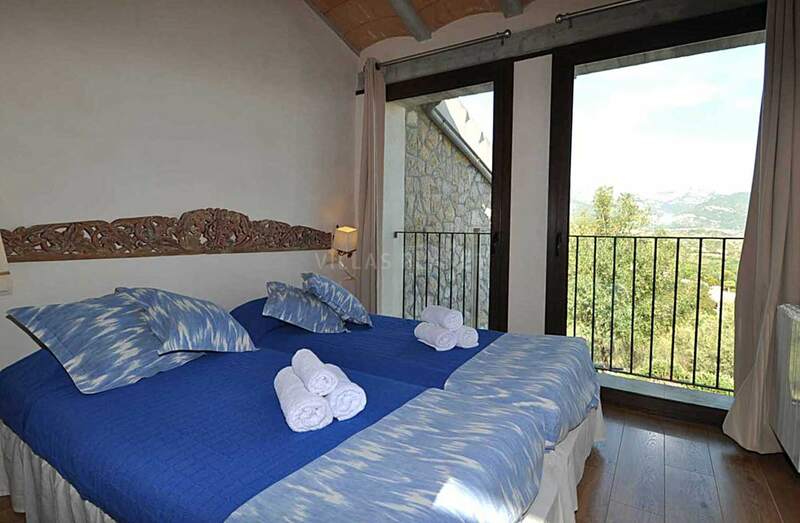 Wonderful rustic Villa of new construction at the foot of a mountain from where you can see the villages of Selva, Caimari and all Serra de Tramuntana. 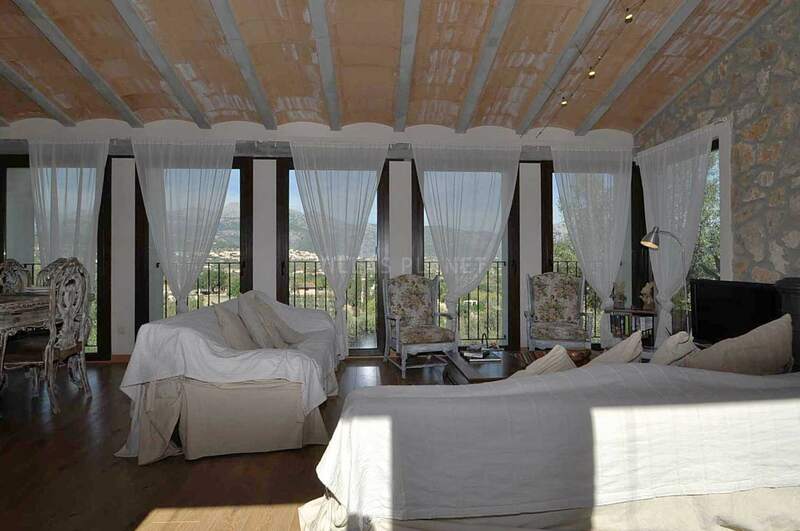 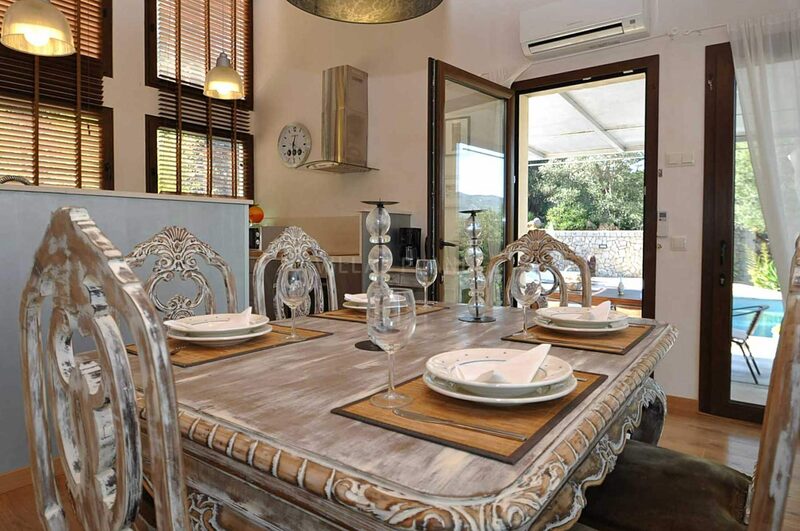 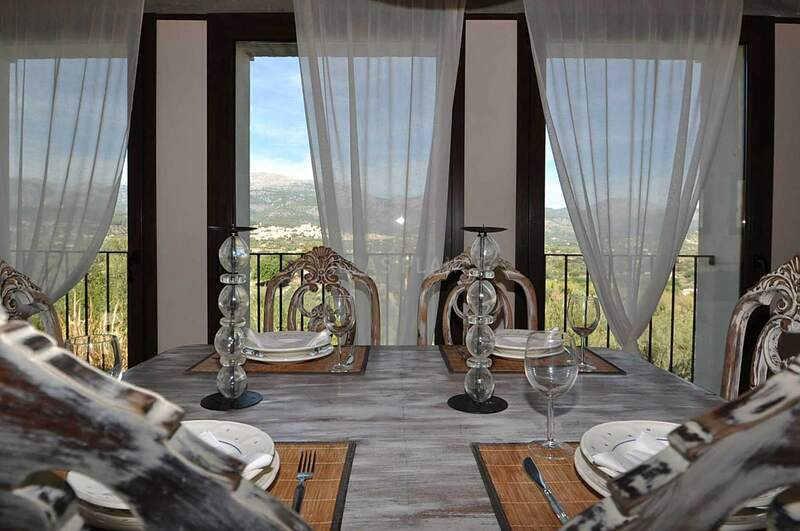 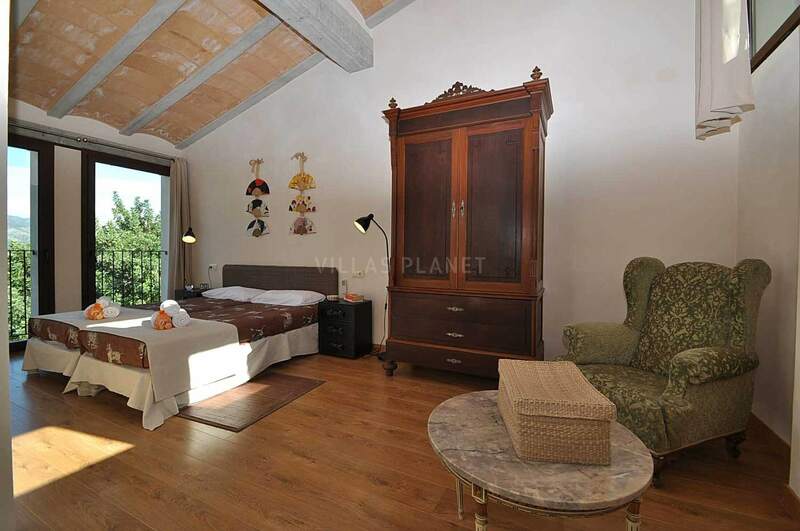 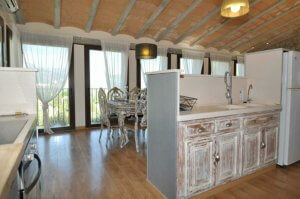 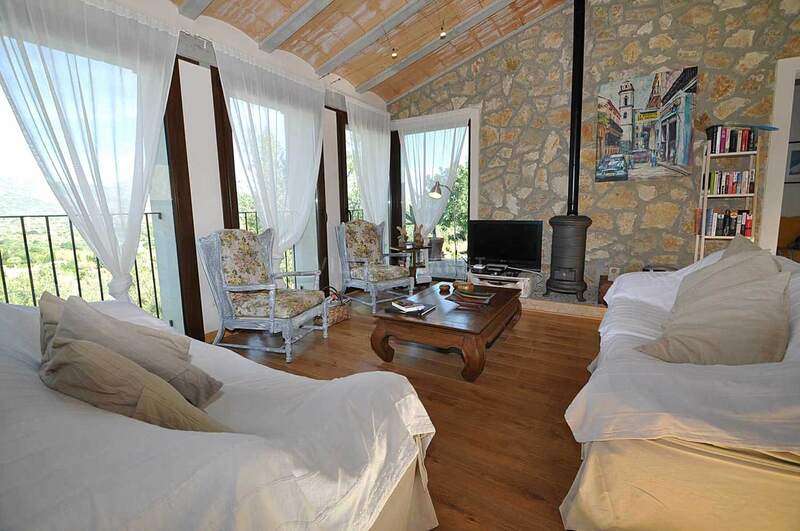 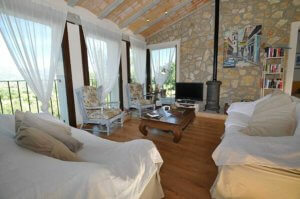 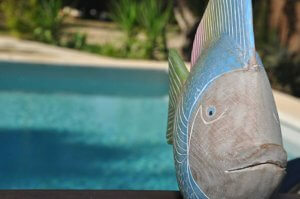 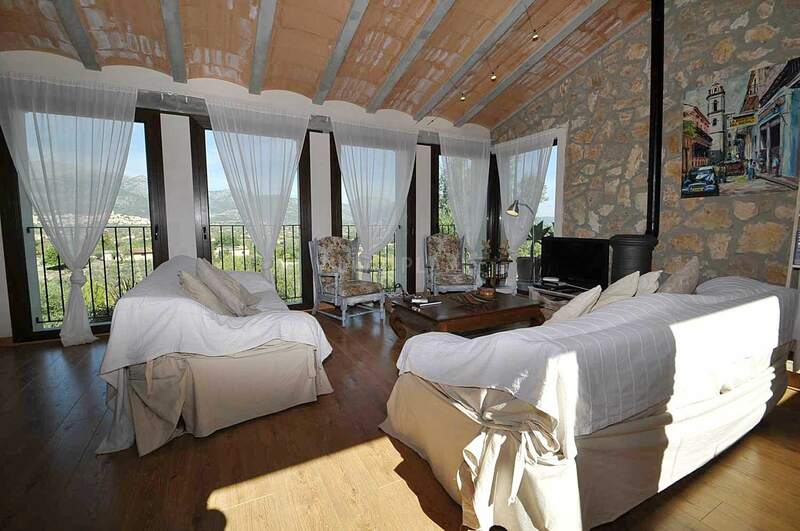 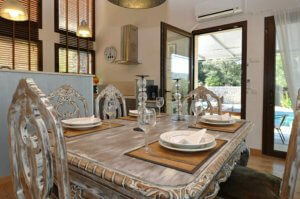 180 º with stunning panoramic views with absolute privacy and tranquility. 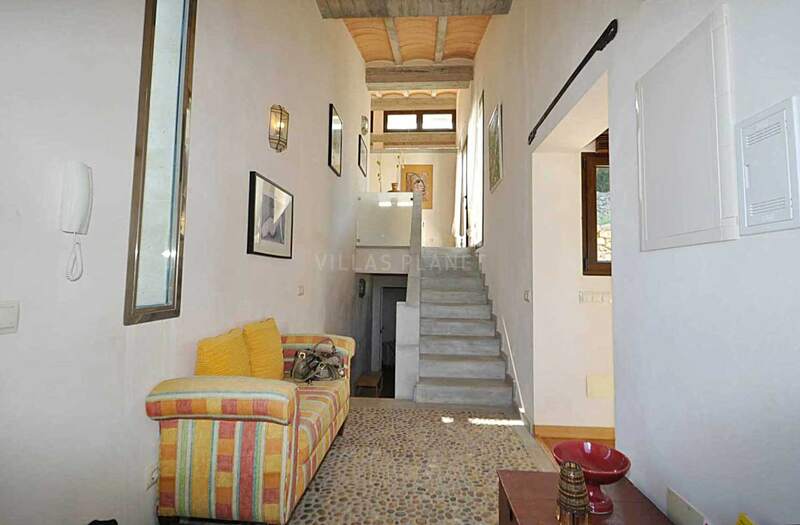 A very bright house is distributed on two levels where the interior and exterior are one from the dining room with large windows and open kitchen are in one stay but in different environments, with exit to the porch terrace with pool and barbecue, from anywhere you can enjoy the panoramic views. 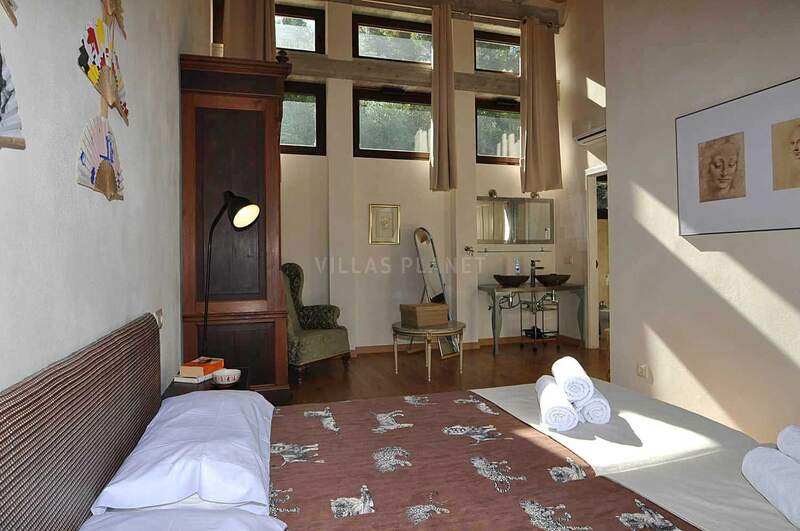 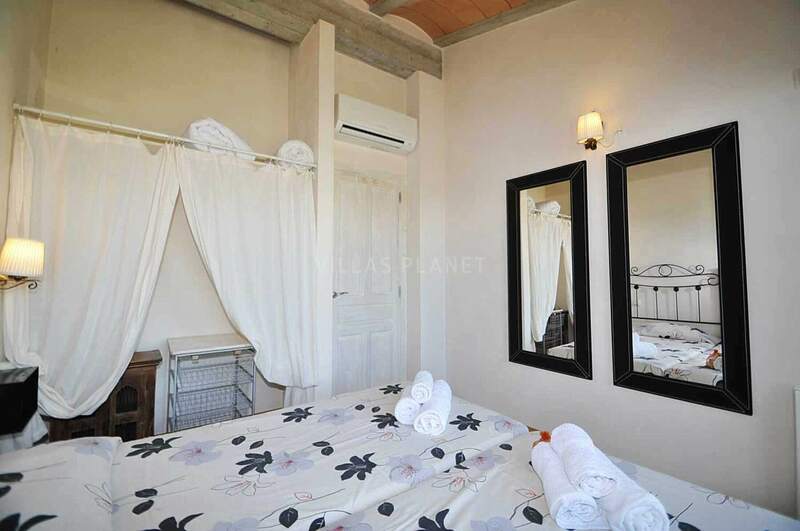 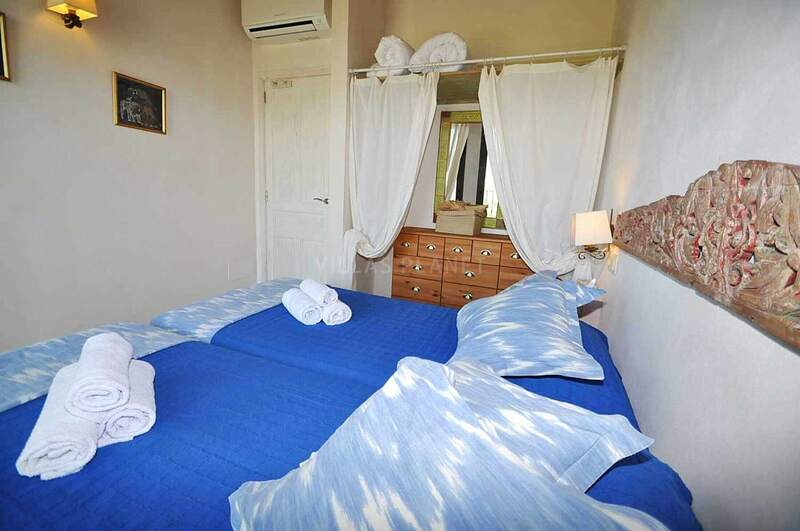 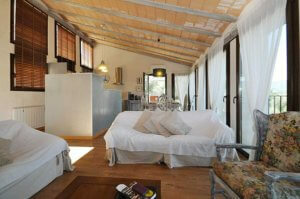 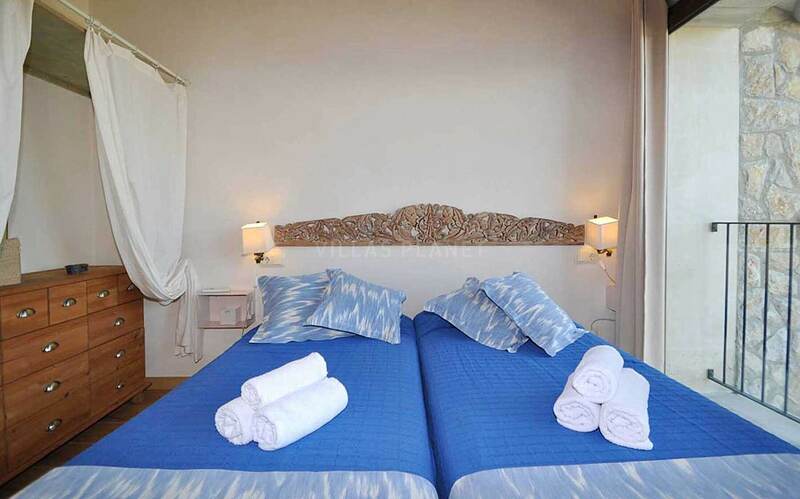 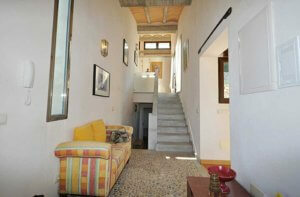 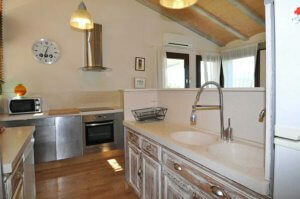 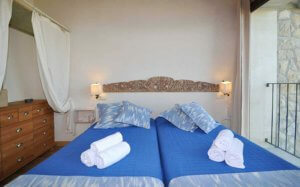 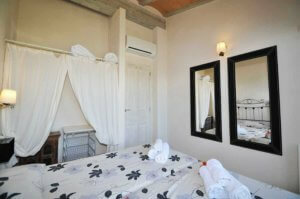 Upstairs you will enjoy three double bedrooms one of them the master bedroom with en suite bathroom, all with views. 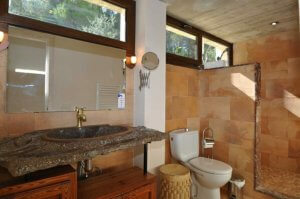 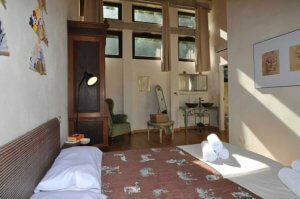 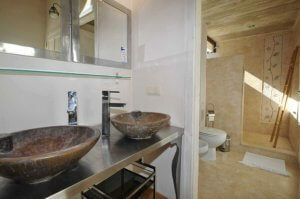 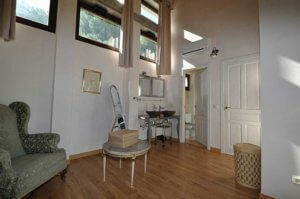 It also has a full bathroom with shower and toilet outside by the pool. 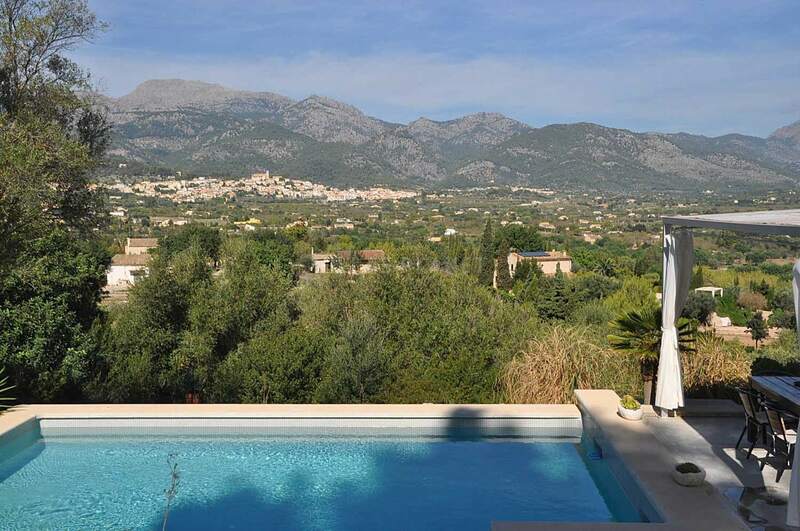 The beaches of Alcudia and Pollensa Bay are only about 20-25 minutes by car. Golf lovers ! the nearest golf courses; Club de Golf Aucanada and Golf Pollença. 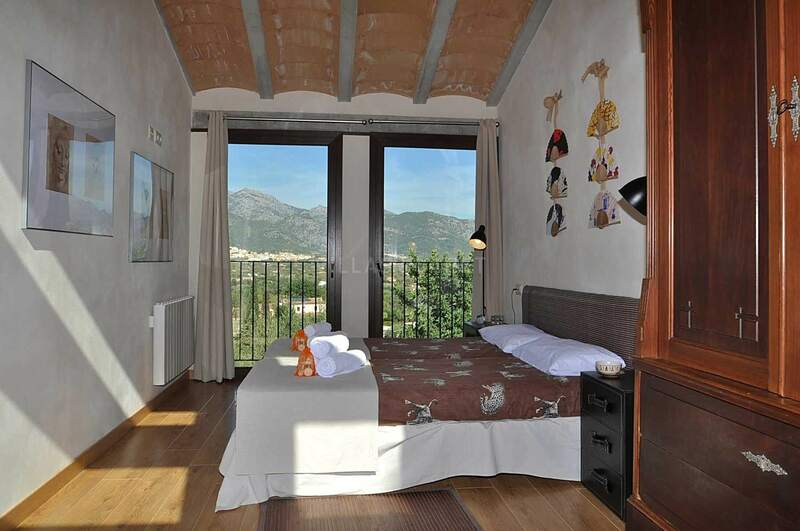 Sant Llorenç is Selva's patron saint, who is honoured on the 10th of August. 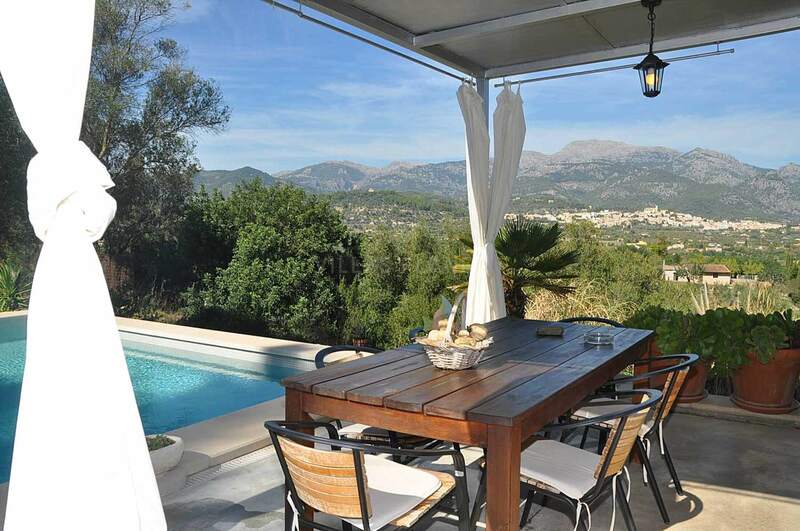 Palma de Mallorca : 28 km.